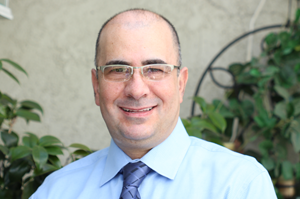 With over 20 years of experience in general and cosmetic dentistry, Dr. Edward Adourian is known for his exceptional skills in dental and cosmetic techniques and compassionate dental care in Carlsbad. He continues to improve his skills and keeps himself abreast with the latest and safest dental procedures with continuous training and education. Dr. Adourian and his team at Carlsbad Dental Associates remains at the forefront of dentistry and are always looking for ways to deliver better and more comfortable dental care. Dr. Adourian offers one-of-a-kind experience for patients looking to transform their smiles using minimally invasive dental techniques and innovative technologies such as CEREC 3-D technology to create same-day porcelain crowns and sedation dentistry for a more relaxing dental experience for anxious patients. Before establishing his dental practice in Carlsbad, Dr. Adourian was practicing in Boston, where he also collaborated with with renowned dental technician Yasu Kawabe in creating Hollywood smile. Dr. Adourian is best known for his professional, personalized and caring approach with his patients. He listens carefully and gets each patient involved in their own customized treatment plan. He develops painless smile makeover that fits a patient’s unique facial bone structure and personality, making sure that oral health and overall well-being are not compromised with cosmetic work. At Carlsbad Dental Associates, you can relax in a spa-like environment while Dr. Adourian and his team work on restoring your healthy and beautiful smile using a combination of dental skills and advanced dental tools and technology. Each operatory is fitted with ergonomic chairs and flat screen for entertainment and put you at ease. Whether you’re looking for a complete smile makeover or simply brighten your smile, visit our Carlsbad dental clinic for safe, affordable, relaxing and effective dental treatments.